Ok… take 2 metformin now… and…. Go! *A note on this vid. She mentions living in a Leopalace. These are fully furnished apartments famous for drifters and paper thin walls. If you don’t spend much time at home, and just need a place to put your stuff, it might be for you. Nobody I know or have ever met has a nice thing to say about those places, but if your going to stay under a year, I suppose its ok.
Quickly! Take 2 more metformin… there you go… it will be ok… Shhhhhh…. LIVING IN JAPAN… THE COST…. I am married, so yeah its more expensive, but our income is almost doubled. There are associated expenses not covered here, such as medical, food, sanitary, travel and just doing stuff as well as student loans (which I according to my math, I will be square when I am 75). I don’t even want to know how much we spend on Maxipads because those things are everywhere! So lets keep it at the basics. The basic non-Japanese salary is around 250,000 yen a month (about $2,500 USD). So lets use that as a base line. The apartment: Shopping for an apartment is a harrowing experience and most apartments are of a substandard quality. There are really nice ones, true, but on average they are hovels. I won’t go into buying a place as permanent resident, which you can and will be refused places based just on that, I will just talk about the expense. My place is about a 20 minute bus ride (or walk depending on traffic) to the station. It is a 3DK which means 3 rooms with a dinette/kitchen. I live just on the of the Tokyo border line, so I am not in Tokyo, but literally a 5 minute walk to Tokyo. So the apartment avoids those nasty Tokyo taxes. This apartment is very close to what my apartment is like. 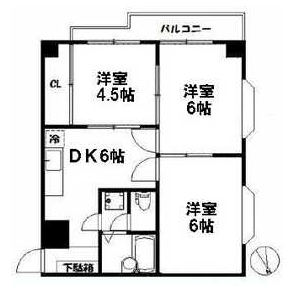 So lets begin… My 3DK apartment is advertised as 65,000 yen a month. But the reality of having a Japanese apartment is that you need a guarantor, which is a co-signer who is responsible if you bounce. That person must have a job and earns a certain amount. My wife’s parents would be happy to be our guarantor but alas they are retired, so we have to enroll with a co-signer company, which will cover you for an extra amount per month. For us it is 44,160 yen a year, or 3,680 exta a month. So rent is 68,680 a month. These are the bills for July. Here are the utility bills which obviously vary depending. Electricity- There is no insulation so prices vary wildly. I think the record low for electricity is about 3,000 yen in the spring and autumn. Summer and winter get expensive. Gas- our particular place uses propane, which is the most expensive option, and unfortunately most common. This is where my long showers get me in trouble. The national pension program, or money for your retirement. Full time employees are supposed to have their employers cover some of it, but many companies bend over backwards to avoid paying that. For me as an Assistant language teacher, my company uses loopholes in the laws to not pay into the program, so I pay more and will eventually get less. The national health insurance plan mirrors the pension program as your employer is supposed to cover a portion. My employer does not and I am forced to buy insurance designed for those who are self-employed. The amount of money you pay is based on the previous year’s tax returns. Like I have said before, I am a man that usually aligns himself on conservative issues, but this form of health care is far superior to the US model whose healthcare is indefensibly immoral. And finally there is residency tax. Again this is based off of where you live and how much you make. I live just outside of Tokyo city limits, so I avoid a much higher tax. It’s pretty much income tax that hasn’t been automatically deducted from your salary. This is paid 8 months out of the year, or in one lump sum if you can float it (which we can’t) so I will instead put it as a monthly fee. 9,068 ($90) for our personal wi-fi… it was cheaper than the data plans for our ipads. Wi-Fi is still rare here, and I use it at work too. Total feel the pain 232,975 ($2,250ish) or roughly 50% of our total income. Posted in This American Life: JapanTagged apartment in japan, cheap japan, expensive japan, Japan, japan life, living in japan, rent in japan, utilities in japanBookmark the permalink. O O OMG. Definitely not!